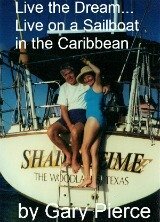 Our Arizona retirement story...we retired early, in 1994, when I was 49...we retired to living on a sailboat in the Caribbean. After eight years of that fun lifestyle, living in our RV during the summers, hurricane season, we left our boat and returned to the states and roamed the country in our RV. We were looking for a place, to "settle down" and buy a house... We put 43,000 miles on our RV looking for that perfect spot. No surprise here, we wanted a place that was warm... Eight years in the Caribbean, will spoil you. We had lived in Houston for 18 years, prior to heading to the islands. We have had our fill, of humidity and bugs... We looked long and hard at Florida anyway. Florida has lots of retirees, and we wanted to check it out thoroughly. Southern California and Arizona quickly moved to the top of our best state to retire in list. When we looked harder at housing costs, Arizona retirement living offered more bang for the buck. We enjoyed the Palm Springs area... Arizona was a much better value. One of our favorite things to do, when we were exploring America in our RV, was visiting the model parks of the Del Webb communities we encountered. 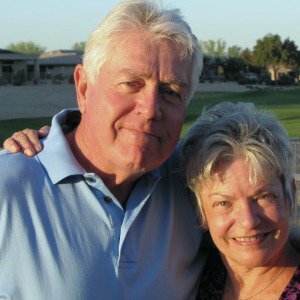 From Florida, South Carolina, Nevada, California and finally Arizona...we became big fans of the Del Webb, active retirement lifestyle, it was all we were looking for. The community centers, the golf courses, and the well-equipped, and well utilized gym's...made us realize we would be Del Webb customers eventually. 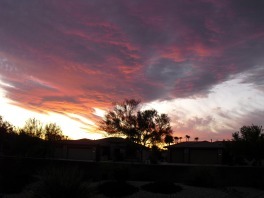 In February, 2004 we purchased our home...and have never regretted the decision...Arizona is a great place to live. We moved in during the construction phase of Sun City Grand...in 2004 there were 6000 homes built,,, it reached completion of 9800 homes in 2007. We did not seem to mind, the construction phase...we enjoyed meeting new neighbors and sharing our Arizona retirement story with others. Several years later, we are still pleased with our decision. When you retire to Arizona...you will realize that you have a lot of choices... Arizona is is much more diverse in climate and topography, than most people think. If you have to have the four seasons, Arizona is still for you... Payson, Prescott, and Flagstaff come to mind if you don't mind seeing snow in the winter...that is why there is chocolate and vanilla.